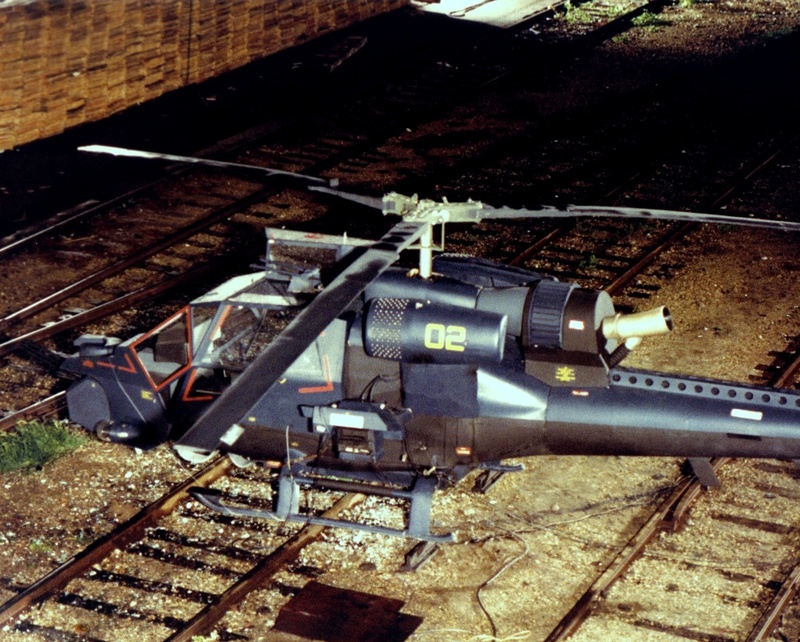 1:1 Scale dummy helicopter at railroad location ready for filming penultimate scene. 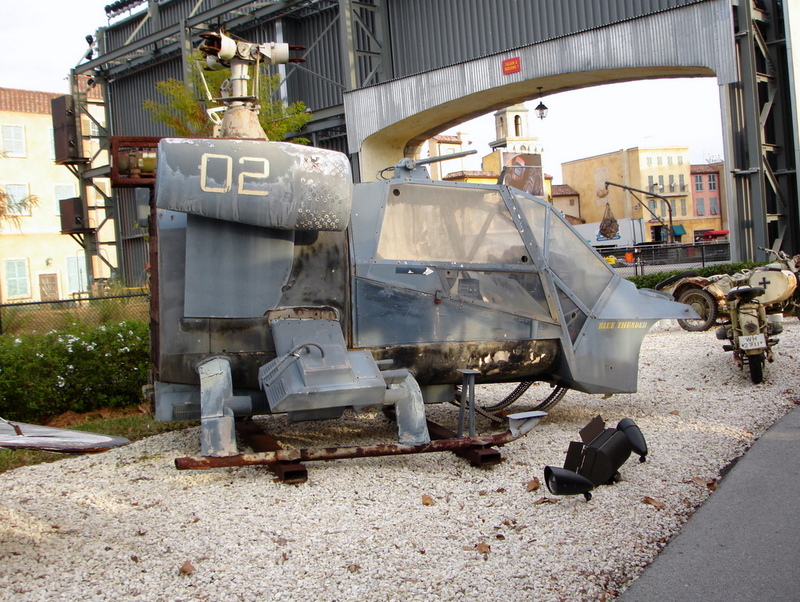 Special effects double built from PVC, Styrofoam and Aluminium to the exact configuration of the ‘real’ helicopter. 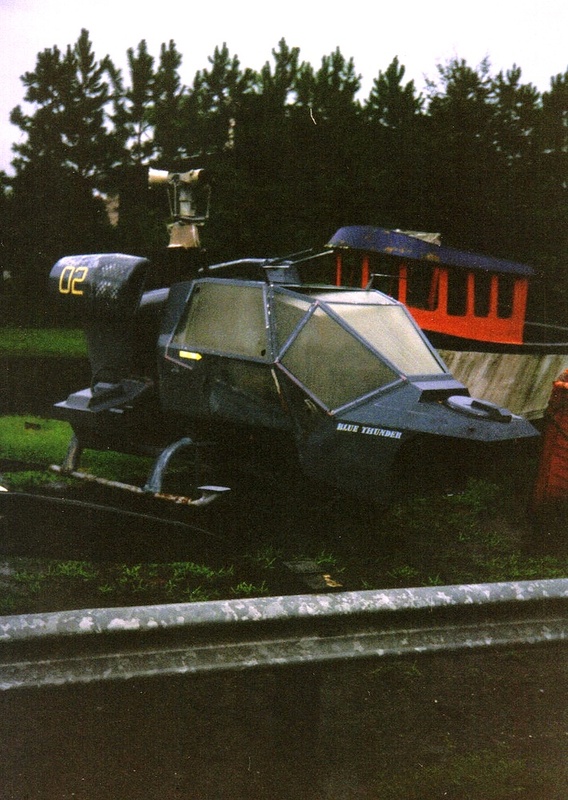 Explosives on board detonated by remote control. 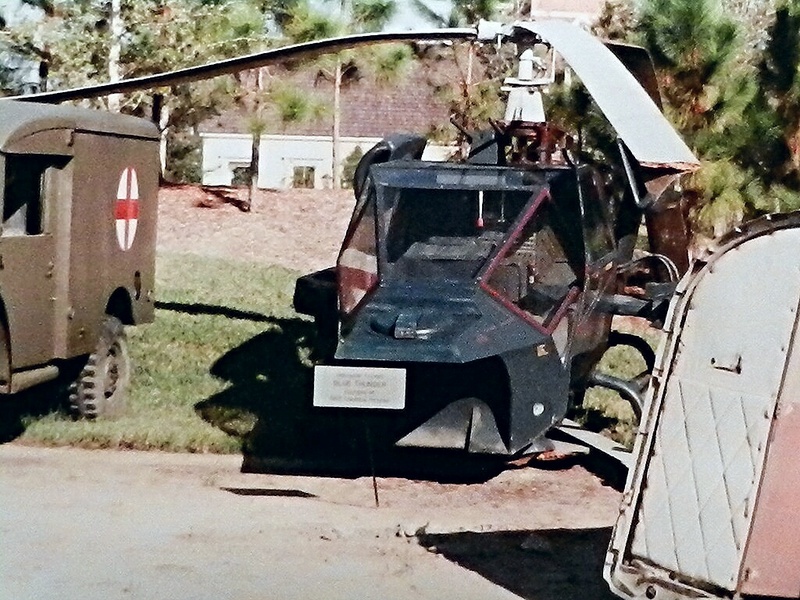 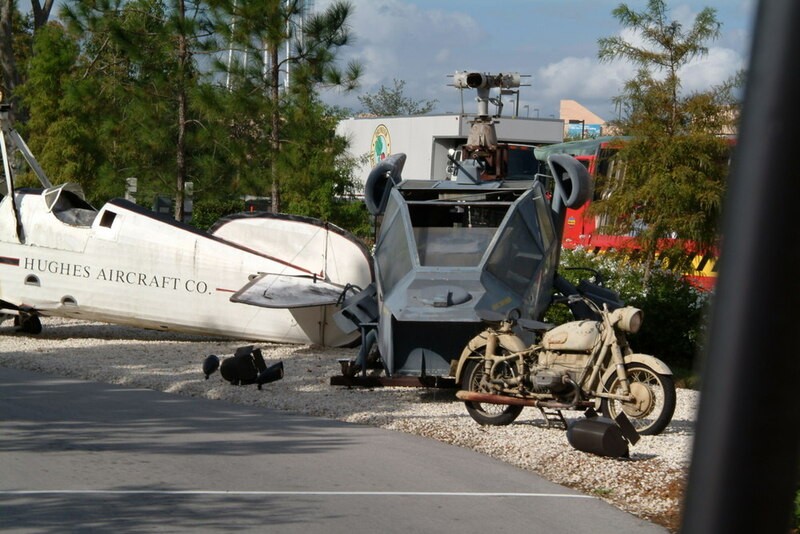 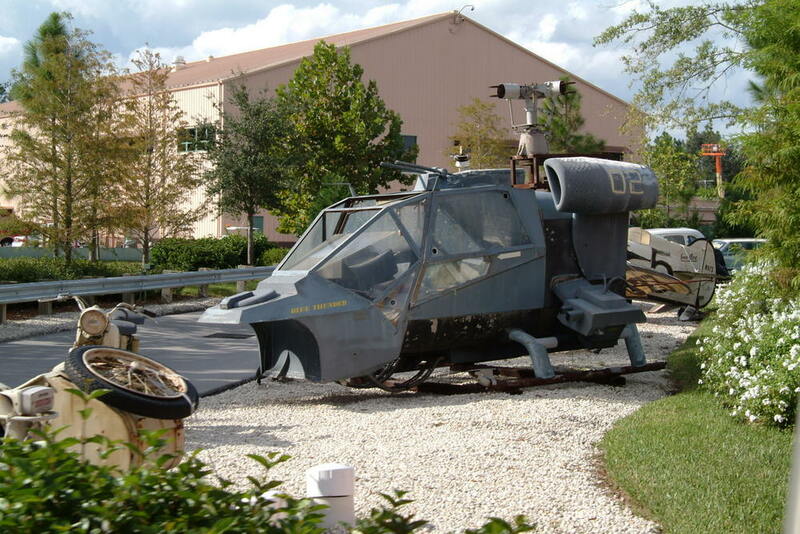 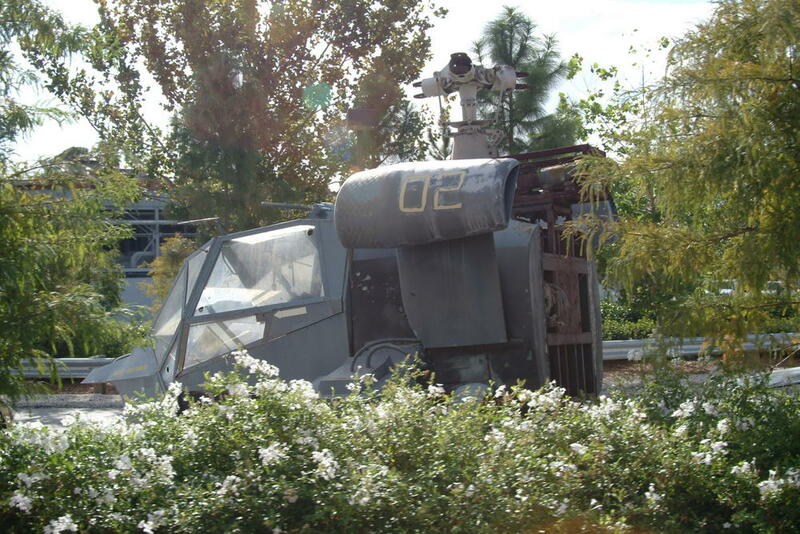 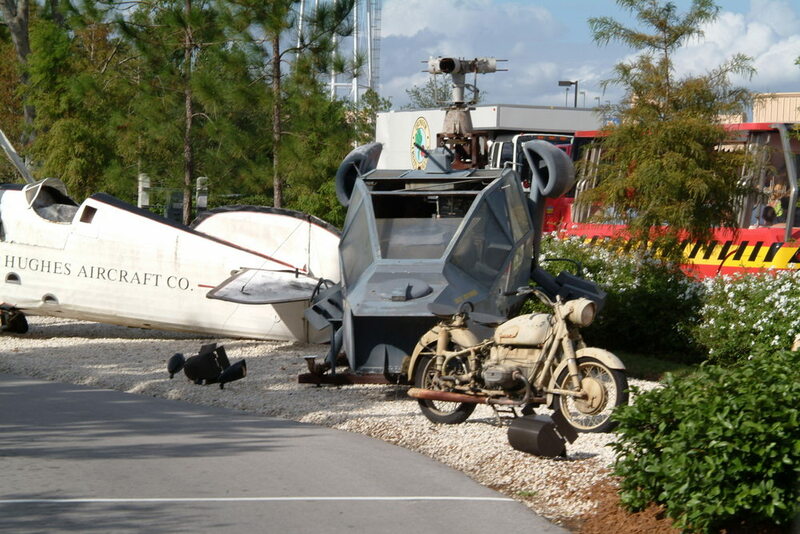 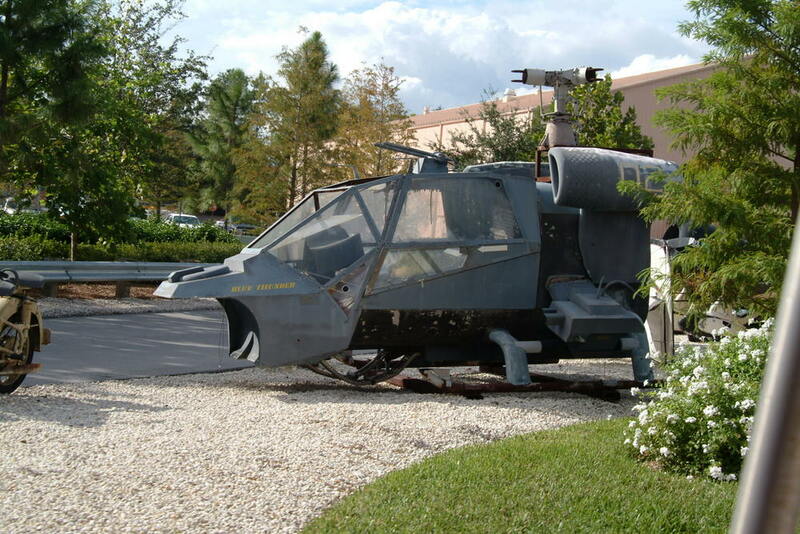 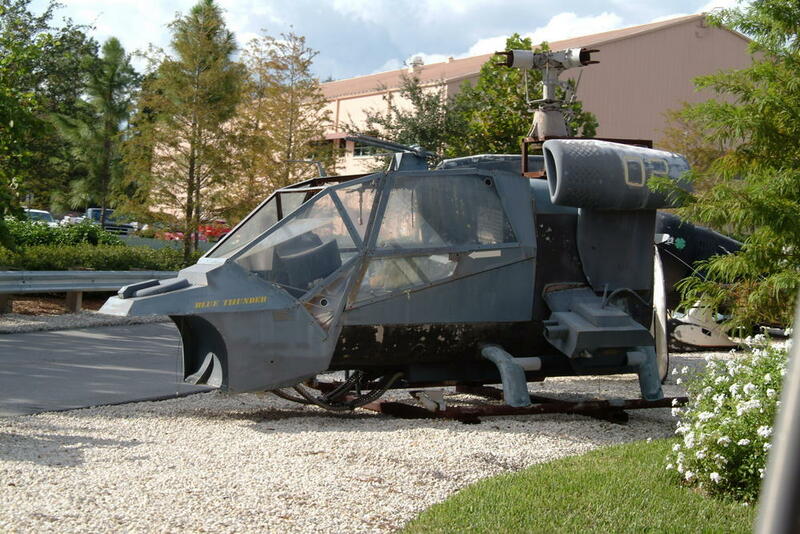 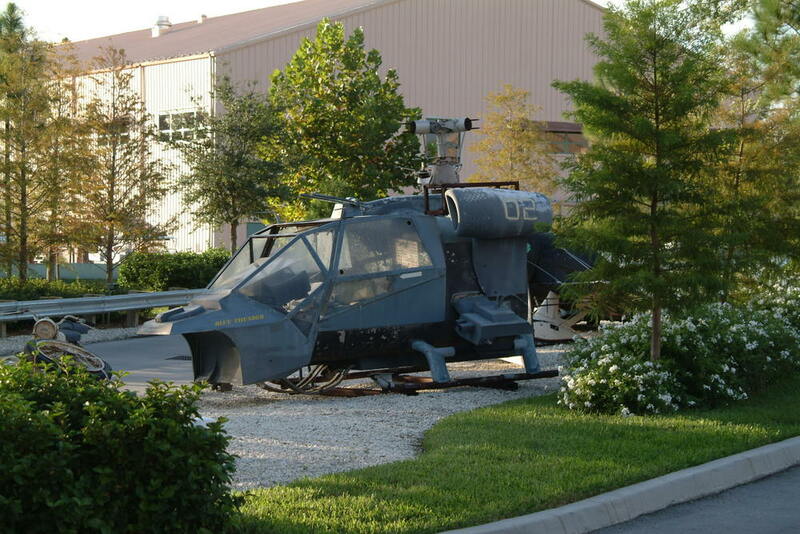 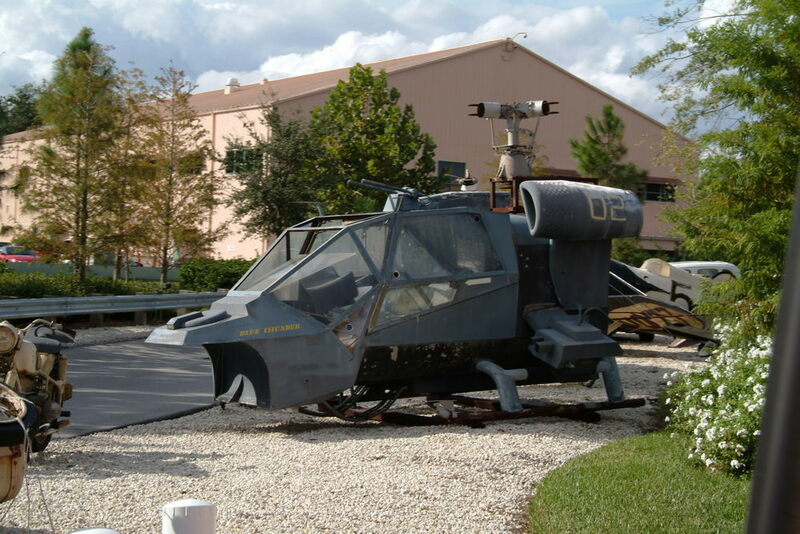 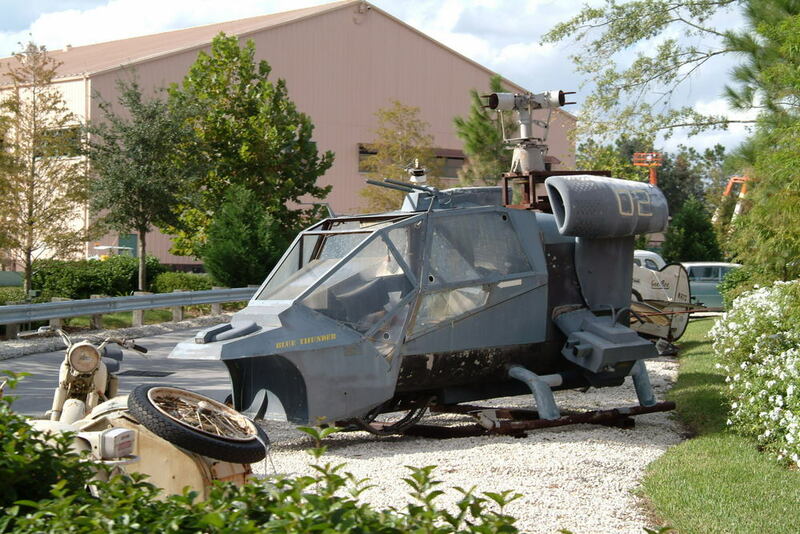 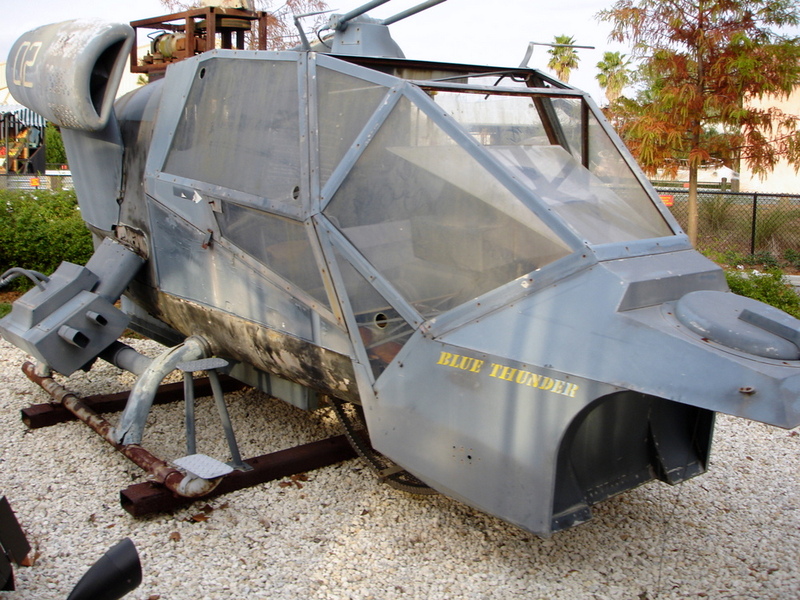 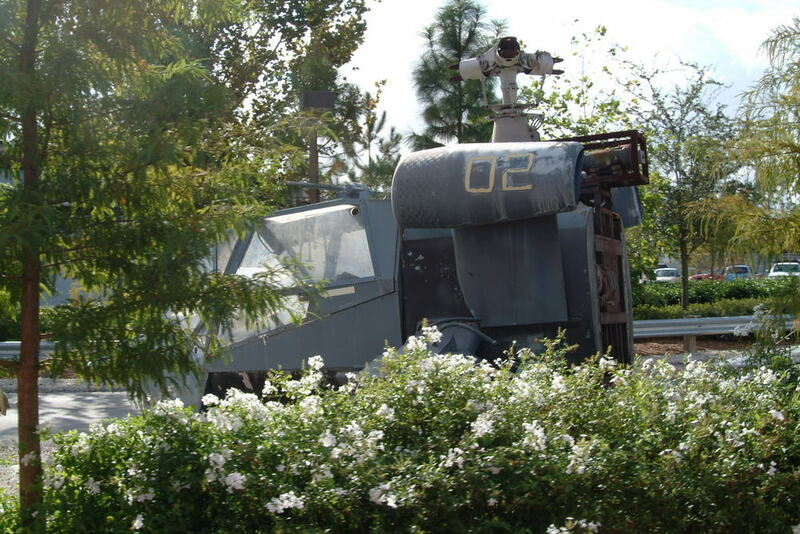 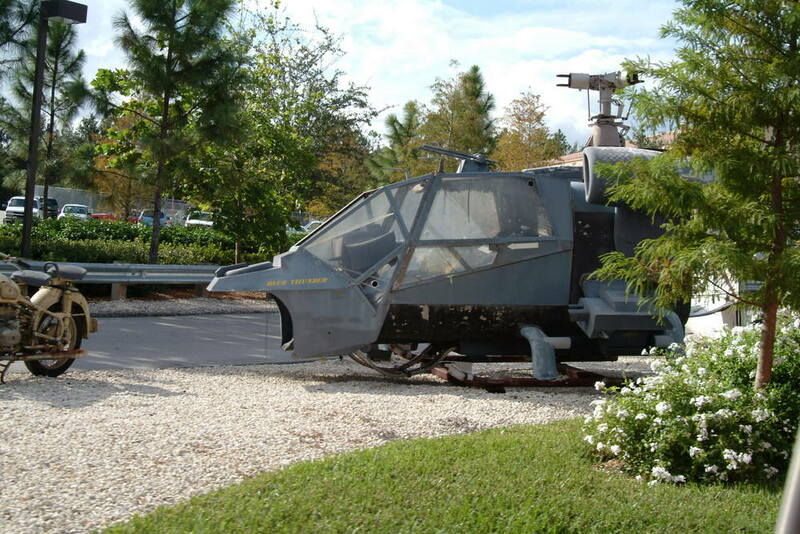 Longest-surviving full-scale version of the helicopter was lent by Sony/Columbia to Disney MGM Studios for the ‘Boneyard’ section of their famous Backlot Tour ( see the post and a 360° view here). 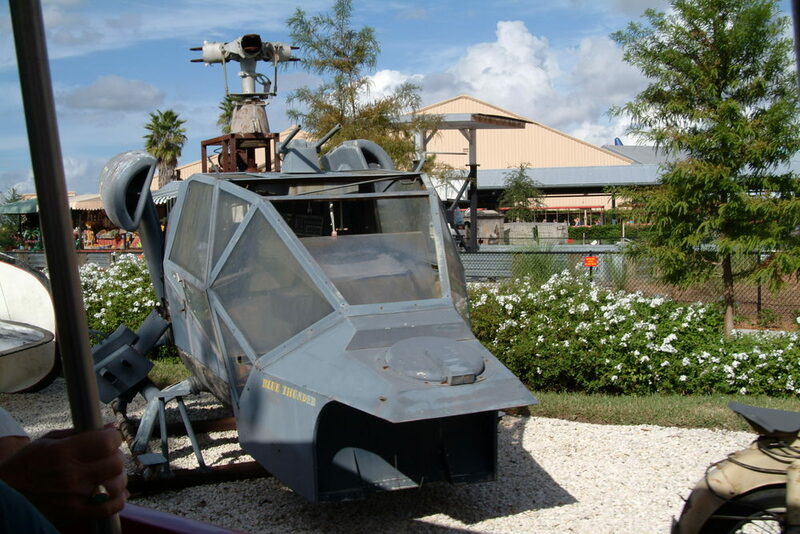 By the mid 90’s the doors were closed but by then the canopy glass was collapsing allowing the rain to further deplete the interior. 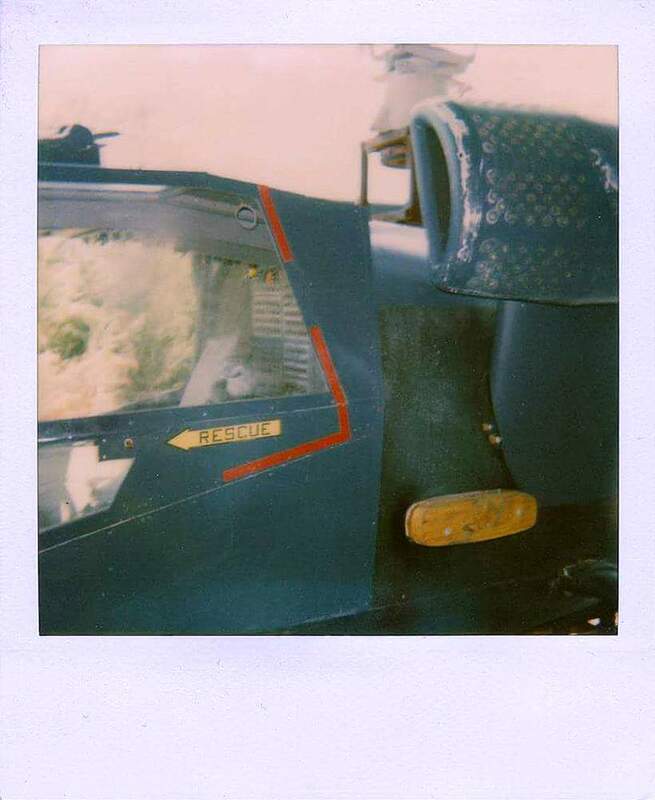 A final change of location (sat next to the similarly withered Gee Bee aeroplane from The Rockeeter) and the centre panel of the canopy along with the starboard camera pod collpased. 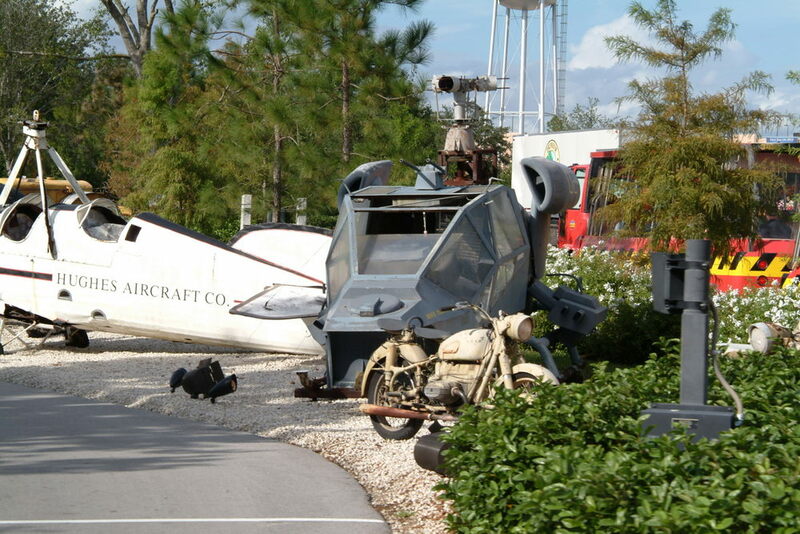 By 2009 the prop had degraded so badly Disney offered to return it to the studio. 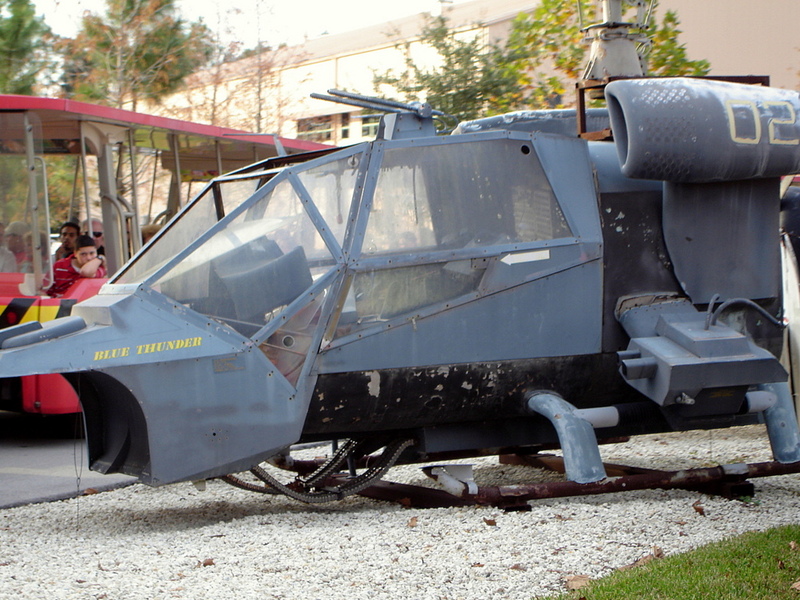 Despite attempts to salvage it Sony Pictures ordered it to be scrapped. 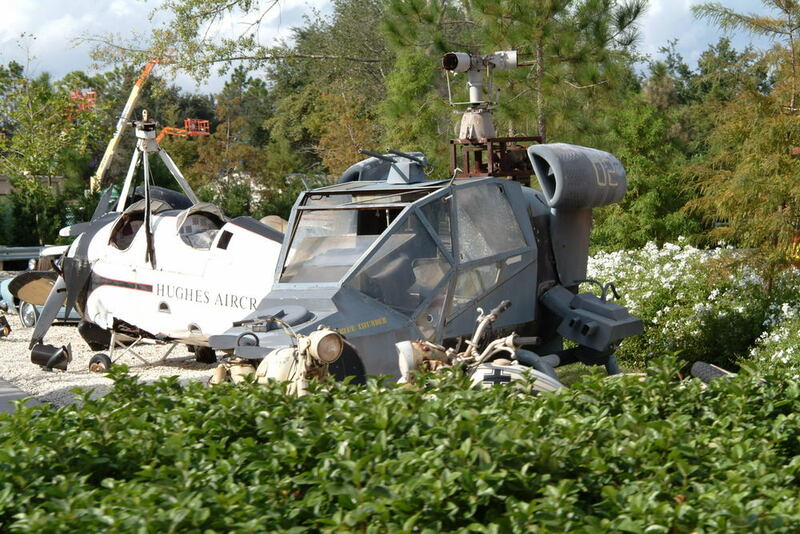 While posts were fewer than anticipated in 2017, the site pages (SPECIAL BASE) have been regularly updated – there you will find constant additions to the gallery and a revised page on the elusive Casio AA-85 Digital Watch as worn by Roy Scheider in the 1983 movie. 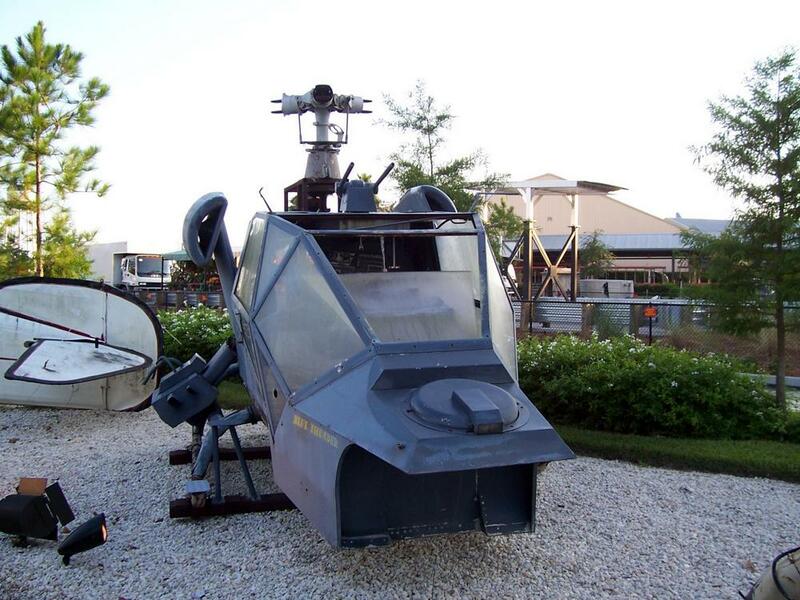 The collection has also continued to expand with the addition of some original artefacts from the TV show that will be showcased soon..! 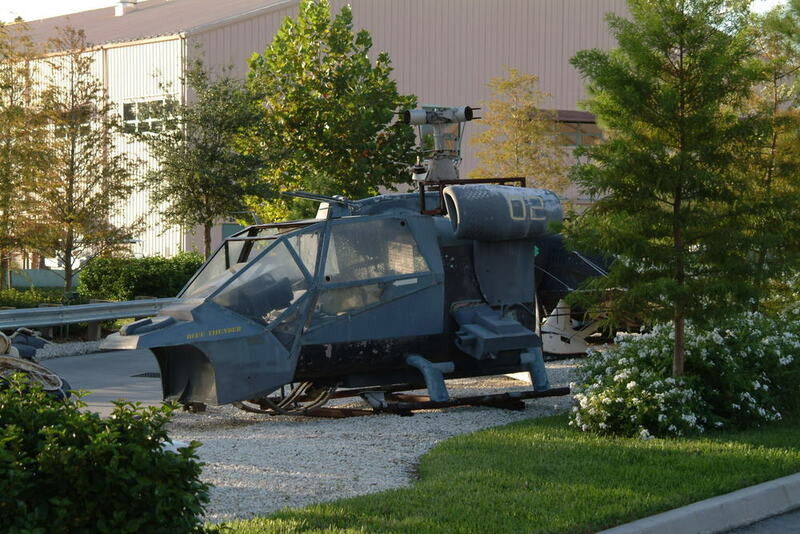 I’d like to take the opportunity to thank all the fans who have been in touch and left comments since the site began, your contributions continue to be incredibly valuable and often lead to great things, a great example of which is below courtesy of Thomas Dozier. 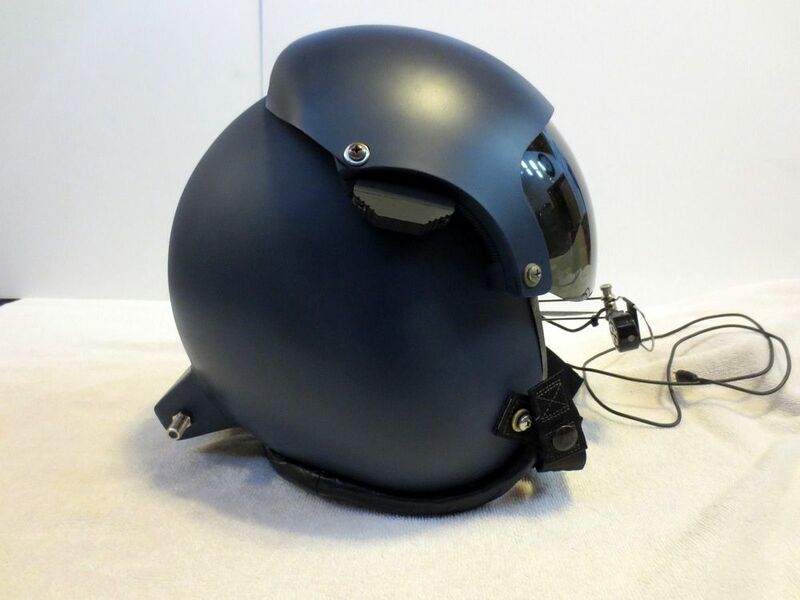 Please enjoy the feature on his incredible one-of-a-kind Helmet project and standby for more to come…! 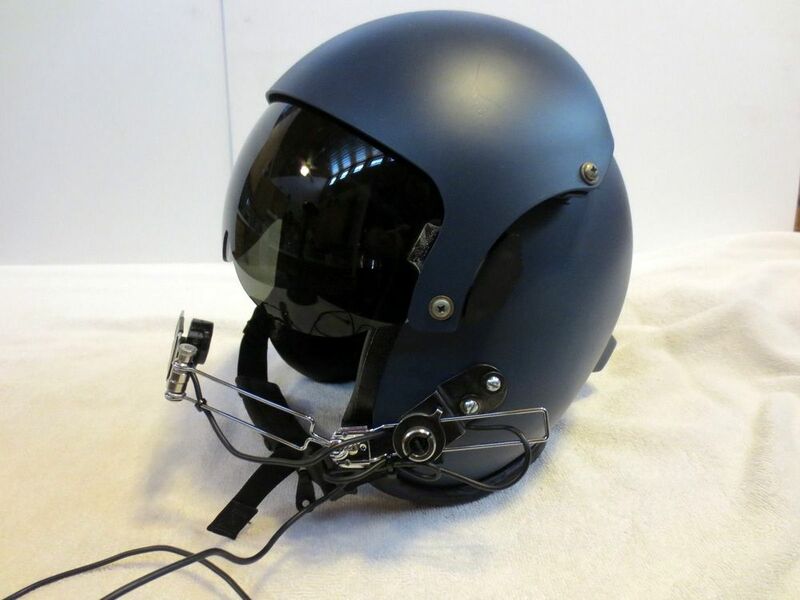 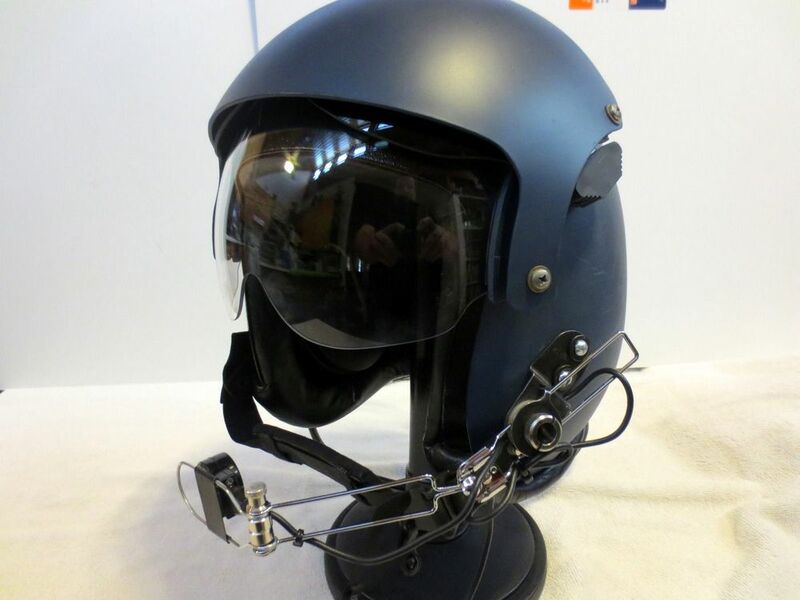 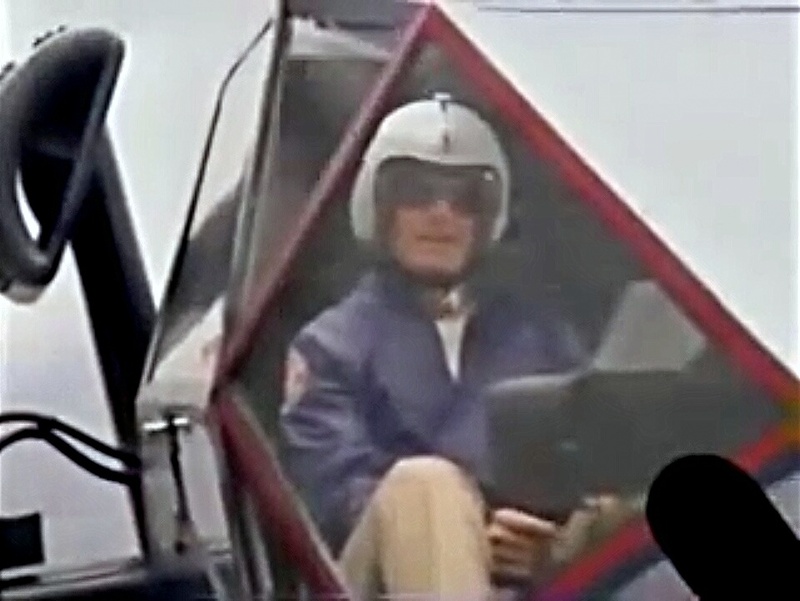 “This was built from the same model HGU Series Dual Visor Flight Helmet used as the actual prop in the movie. 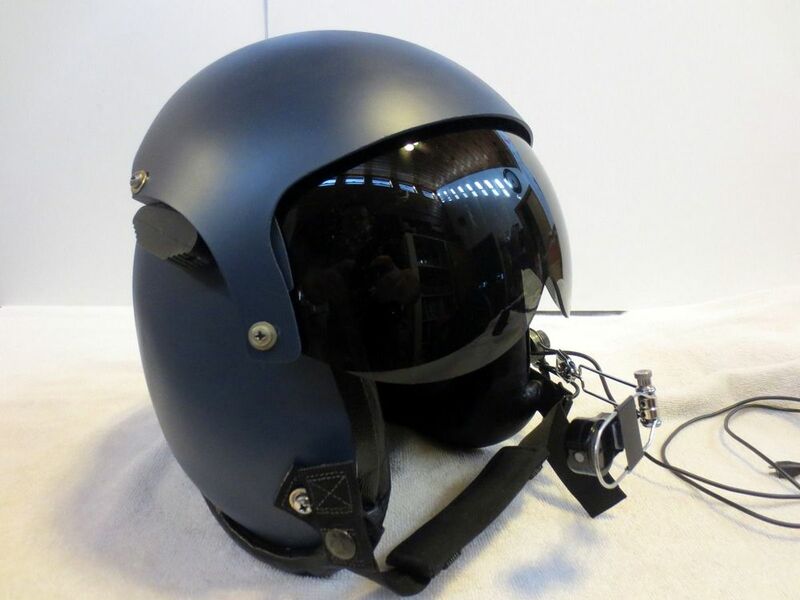 I added the rear control box that, in fiction, is supposed to be part of the Heads-Up Display (HUD) system. 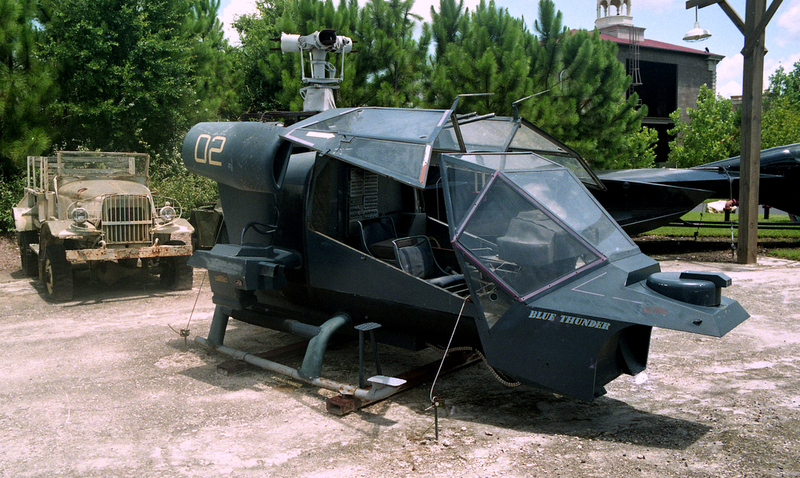 There is a VCR type jack in the back along with a removable cable so it could be displayed it with or without it. 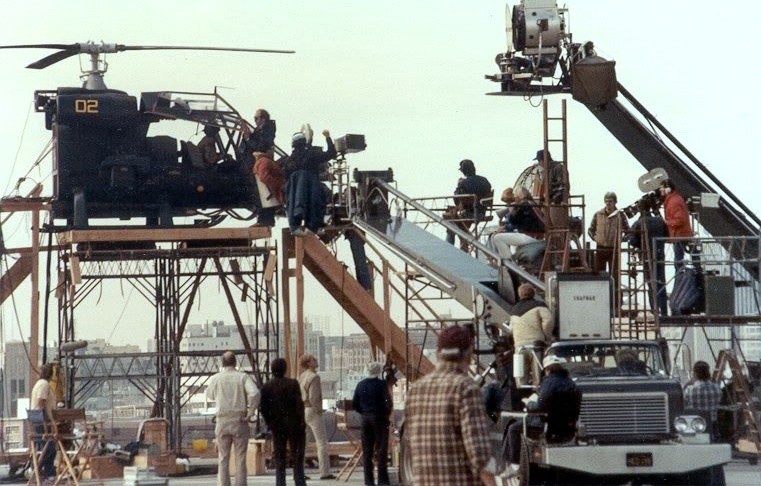 The boom mic was quite the adventure. 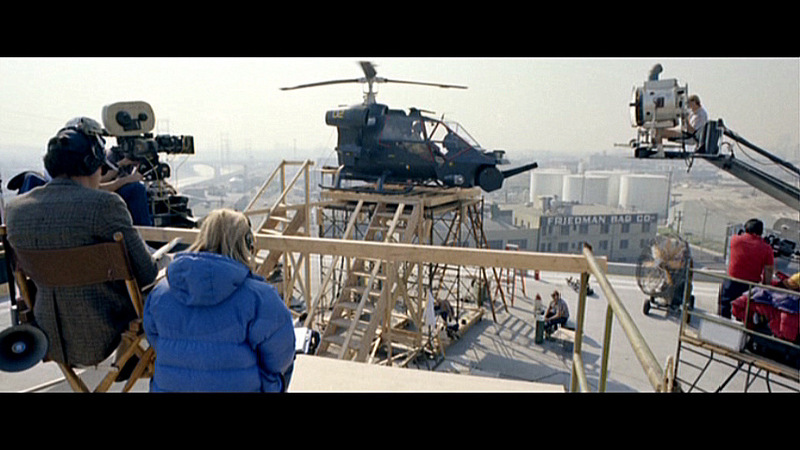 After months of searching I realised there are no three section boom mics and the filmmakers custom made them for the film. 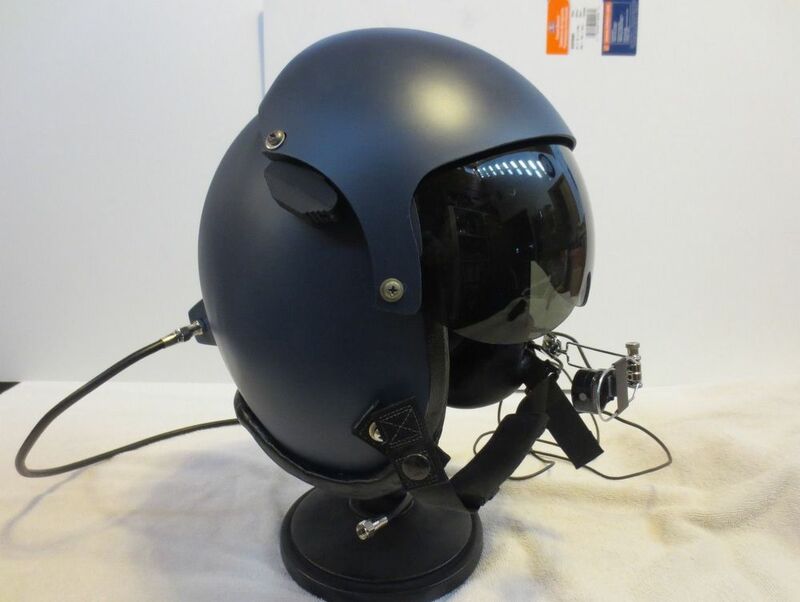 Both the Blue Thunder helmet as well as the regular flight helmets in the film have these custom made boom mics. 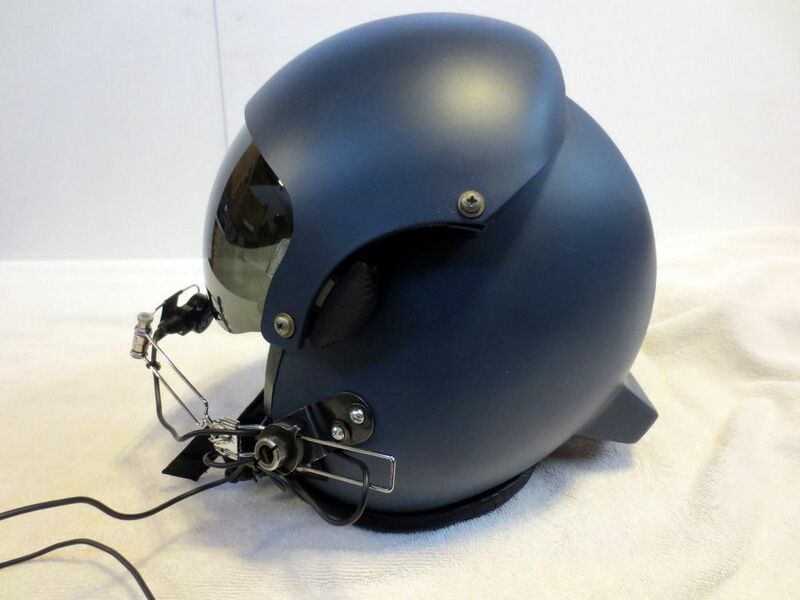 The first two sections are original vintage parts that match the film’s helmet exactly, and then like the prop makers, I had to scratch build the front section. 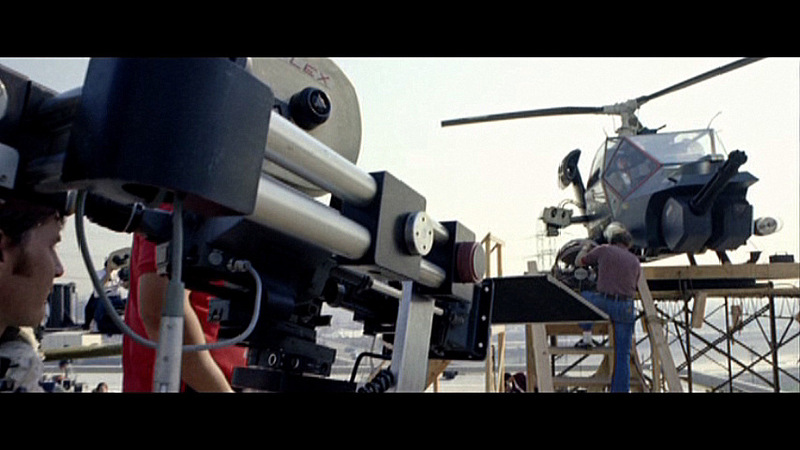 I was able to locate the exact vintage microphone as was used in the film. 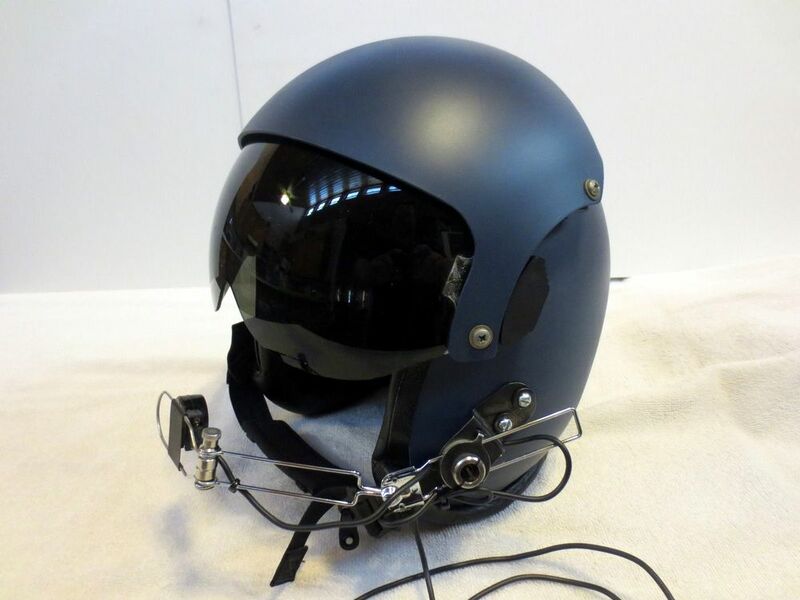 The helmet has a new old stock original chin strap, not the new lesser quality ones, as well as a new old stock vintage leather roll also. 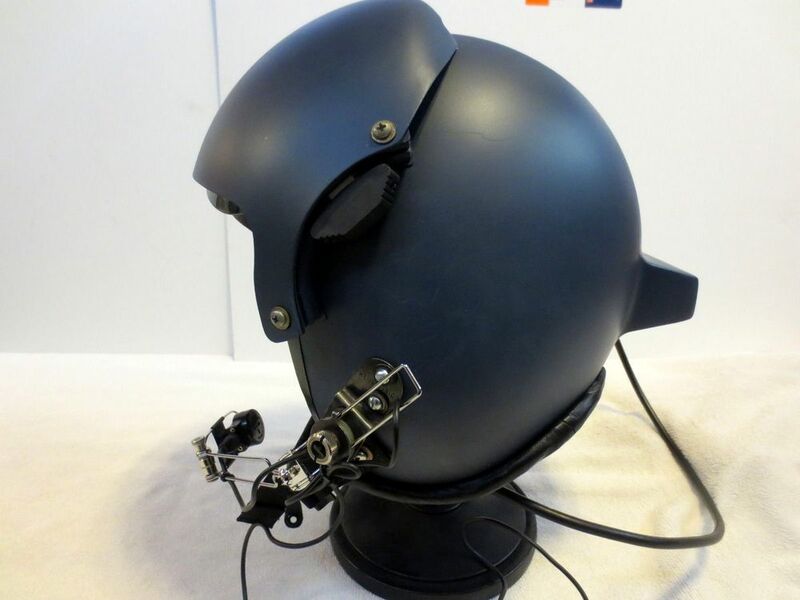 It also features new old stock earphones. 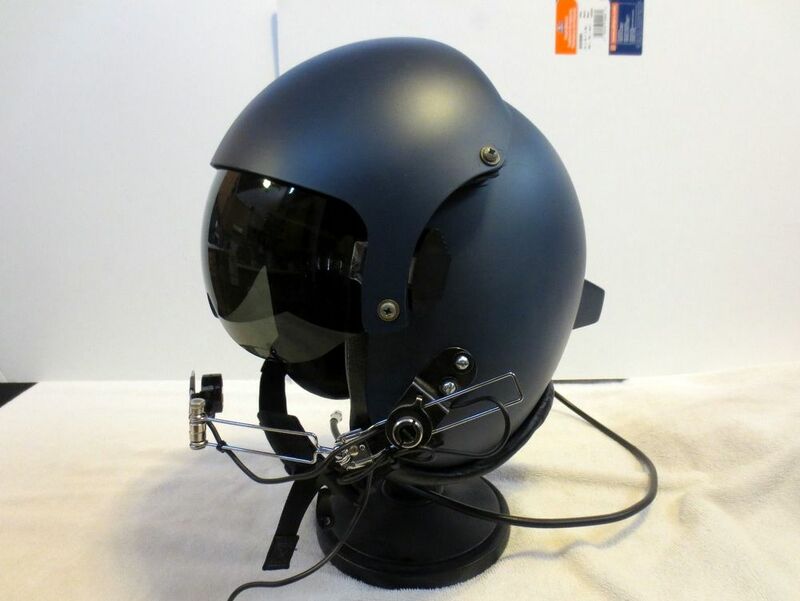 Both the earphones and boom mic work so this is an actual working flight helmet.